This Ongoing War: A Blog: 15-Dec-15: Hear about the stabbing in the heart of Jerusalem this afternoon? 15-Dec-15: Hear about the stabbing in the heart of Jerusalem this afternoon? Several people were not killed, others not injured, in yet another Arab-on-Israeli stabbing attack in the heart of Jerusalem. 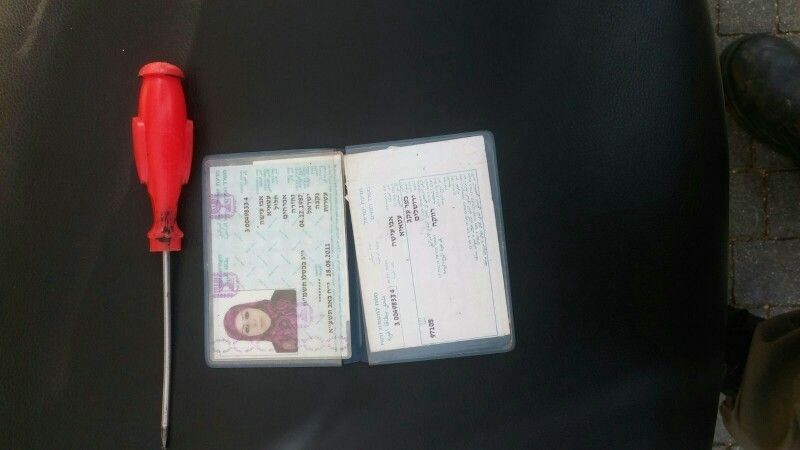 The attacker, a Palestinian Arab woman, attracted the suspicions of Border Police officers patrolling the center of the capital. 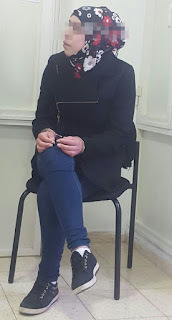 We learned that they stopped her on Dorot Rishonim Street, right in the business and tourism center, the area called Jerusalem's Meshulash ("Triangle"), and carried out a search in the course of which a screwdriver was found on her (exactly where is not said). The Israeli victims - perhaps a pensioner or two, a kindergarten child walking with a parent, a soldier getting a coffee - who thankfully were spared being attacked, don't even know they were about to fall prey to yet another jihad-minded opportunist with PA-government-approved incitement ringing in her ears. The men who preside over Hamas would be delighted with what she tried to do [here's some evidence]. Ynet says she is now under arrest and will be charged with terrorism offences. We ourselves have just gotten back from being in the center of Jerusalem. The attempt and the arrest must have happened when we were either on or right next to the short street where the arrest was done. We knew nothing about it. We must have seen a couple of dozen young Arab women dressed like her, looking more or less like her - and gave it no thought. Some were on the bus with us. Many were window-shopping or walking into or out of some of the city's cafes, with friends, alone, in groups. That's Jerusalem. 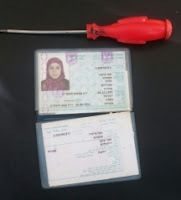 Via the social media, this image of her ID card and the screwdriver tells us she is in her twenties, lives in Jerusalem and has Israeli government ID like the attacker who rammed a cluster of Israelis at a Jerusalem bus stop a day earlier. Life would be so much simpler if, in the course of opening up Israeli society to everyone (the exact opposite of what Israel is widely accused of doing), terrorists with mayhem on their minds wore a sticker on their foreheads announcing them as potential stabbers or shooters or bombers or rammers. Because that's not how life is lived here, we owe a debt of deep thanks to the vigilant and courageous security people and those responsible for training and deploying them. UPDATE: Tuesday December 15, 2015: Times of Israel has this arrest as its main story at this hour (4:00 pm). They say: "During questioning, the woman admitted she had intended to carry out a stabbing attack, police added. Palestinians have used screwdrivers in stabbing attacks several times in recent months."